Winter Athletic Programs: This Winter our Athletic program will be offering intramural basketball leagues as follows: Boys 11 & U Low Rim, Girls 12 & U Low Rim and a 15 & U Co-ed division. These games will take place weeknights at 6:00 p.m. or later. In addition we will see the return of our Girls TMX Non-Contact Boxing Class on Mondays at 6:00 p.m. as well as 2 co-ed Classes on Tuesday and Thursday evenings at 6:30 p.m. For those interested in cross-training we offer classes at Body & Fuel three afternoons a week at 3:30 p.m. Lastly, we will have 2 All-Star teams competing in the NENEAPC League competing against Clubs in the region. For more information, or to register please contact Mike Joyce at mjoyce@bgcdorchester.org. 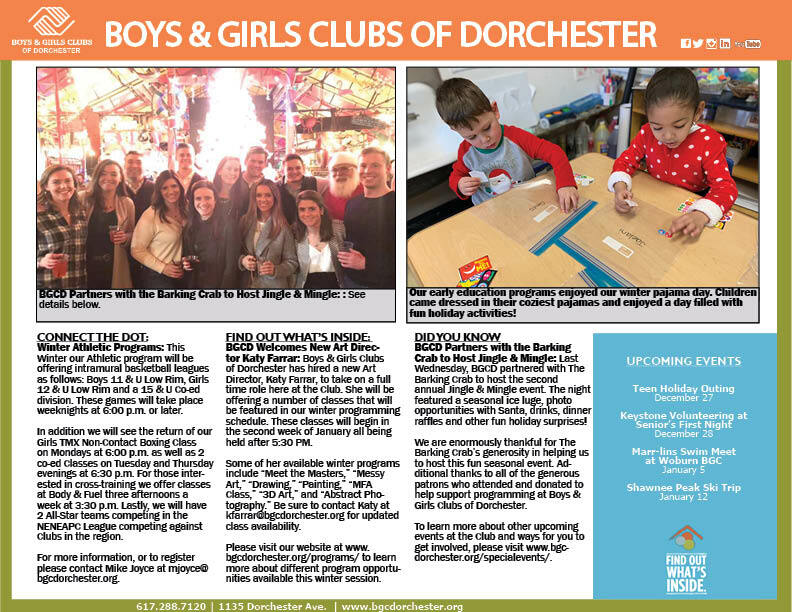 BGCD Welcomes New Art Director Katy Farrar: Boys & Girls Clubs of Dorchester has hired a new Art Director, Katy Farrar, to take on a full time role here at the Club. She will be offering a number of classes that will be featured in our winter programming schedule. These classes will begin in the second week of January all being held after 5:30 PM. 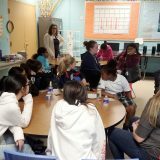 Some of her available winter programs include “Meet the Masters,” “Messy Art,” “Drawing,” “Painting,” “MFA Class,” “3D Art,” and “Abstract Photography.” Be sure to contact Katy at kfarrar@bgcdorchester.org for updated class availability. 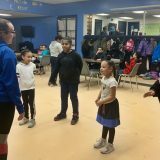 Please visit our website at www.bgcdorchester.org/programs/ to learn more about different program opportunities available this winter session. 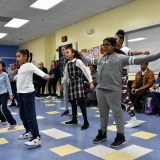 BGCD Partners with the Barking Crab to Host Jingle & Mingle: Last Wednesday, BGCD partnered with The Barking Crab to host the second annual Jingle & Mingle event. The night featured a seasonal ice luge, photo opportunities with Santa, drinks, dinner raffles and other fun holiday surprises! We are enormously thankful for The Barking Crab’s generosity in helping us to host this fun seasonal event. Additional thanks to all of the generous patrons who attended and donated to help support programming at Boys & Girls Clubs of Dorchester. 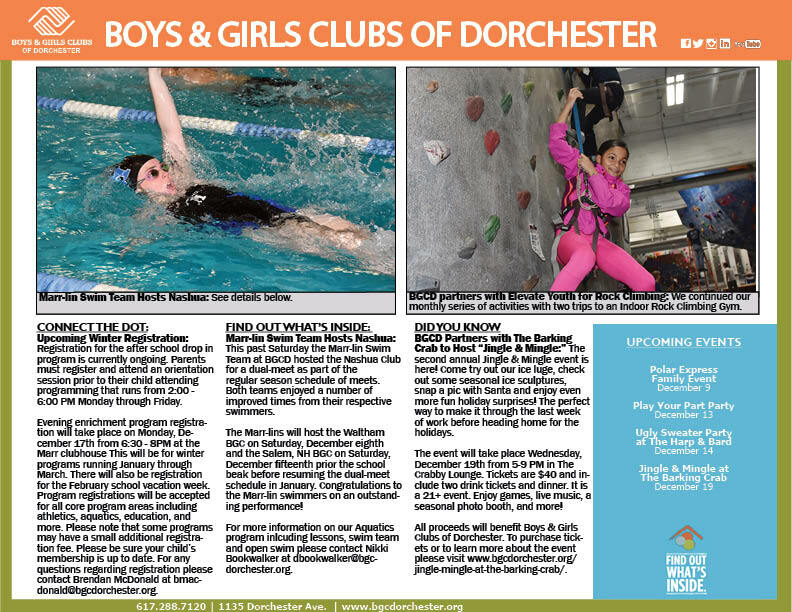 To learn more about other upcoming events at the Club and ways for you to get involved, please visit www.bgcdorchester.org/specialevents/. 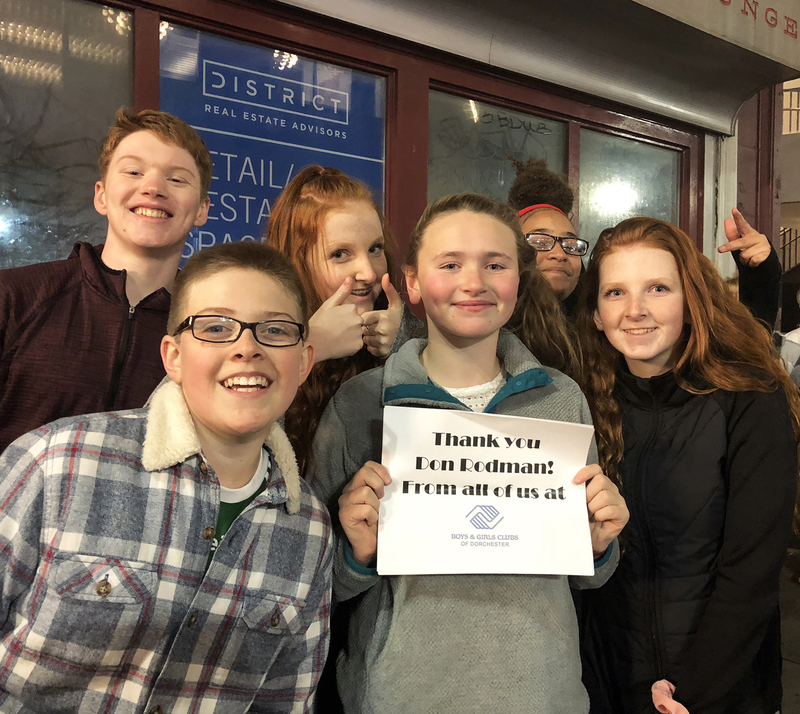 Keystone Club Volunteers at Christmas in the City: Members of the Keystone Club arrived at the Massachusetts Convention Center to help with pre-party wrapping and decorating for the Annual Christmas in the City event. 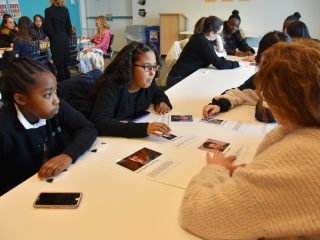 Keystone Club members recently volunteered at the Polar Express event and will be returning to the City of Boston’s Annual Senior First Night celebration at the Seaport World Trade Center later this month. We are excited to see our Keystone members getting involved and volunteering in the community so often this holiday season. 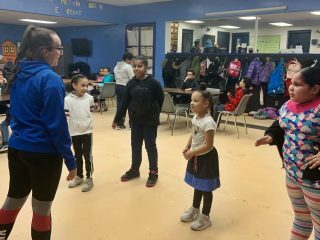 For any questions regarding how your child can get involved with volunteering through the Club, please contact Brendan McDonald at bmacdonald@bgcdorchester.org. BGCD Partners with Boch Center for the Performing Arts: An Annual tradition returned to Dorchester this December as we partnered with the Boch Center for the Performing Arts to host three interactive readings of “The Grinch.” Sessions were held for our after-school programs at the Marr and Walter Denney Clubhouses as well as a session for our Early Education & Care programs. Members of all ages enjoyed listening and following along with this classic holiday story. 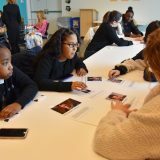 Many thanks to our friends at the Boch Center for making this opportunity available to our members. 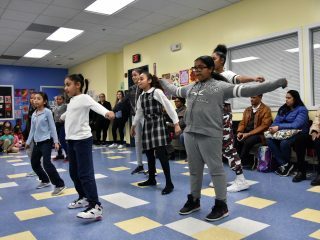 Please visit our website at bgcdorchester.org to learn more about the ways you can help support the Club and our members this holiday season. 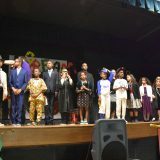 BGCD Takes Part in Play Your Part Toy Party: This past week BGCD partnered with the Toy Foundation to host the Play Your Part Event with over 250 Club members attending. With donations of thousands of toys from many of the major toy companies and an army of volunteers from those respective companies on hand our members enjoyed a day of music, games, dinner and each left with a bag full of toys. Many thanks to the Toy Foundation for their support of the event as well as event sponsors: ASTRA, Educational Insights, Empire Group, LEGO, Schylling, Thames & Kosmos, TOMY and Unruly Studios. We would also like to thank our friends at the I.B.E.W. Local 103, Paul Revere Transportation, NIKE South Bay, NIKE Newbury Street, Blackrock Investment Management, Flavio D. Photography and Karen Diep for their support of the event. 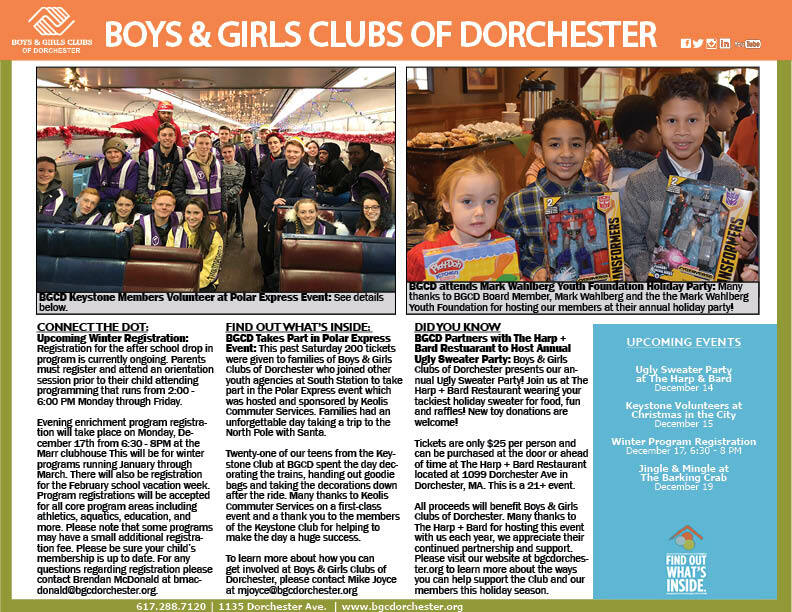 BGCD Takes Part in Polar Express Event: This past Saturday 200 tickets were given to families of Boys & Girls Clubs of Dorchester who joined other youth agencies at South Station to take part in the Polar Express event which was hosted and sponsored by Keolis Commuter Services. Families had an unforgettable day taking a trip to the North Pole with Santa. Twenty-one of our teens from the Keystone Club at BGCD spent the day decorating the trains, handing out goodie bags and taking the decorations down after the ride. Many thanks to Keolis Commuter Services on a first-class event and a thank you to the members of the Keystone Club for helping to make the day a huge success. Tickets are only $25 per person and can be purchased at the door or ahead of time at The Harp + Bard Restaurant located at 1099 Dorchester Ave in Dorchester, MA. This is a 21+ event. All proceeds will benefit Boys & Girls Clubs of Dorchester. Many thanks to The Harp + Bard for hosting this event with us each year, we appreciate their continued partnership and support. 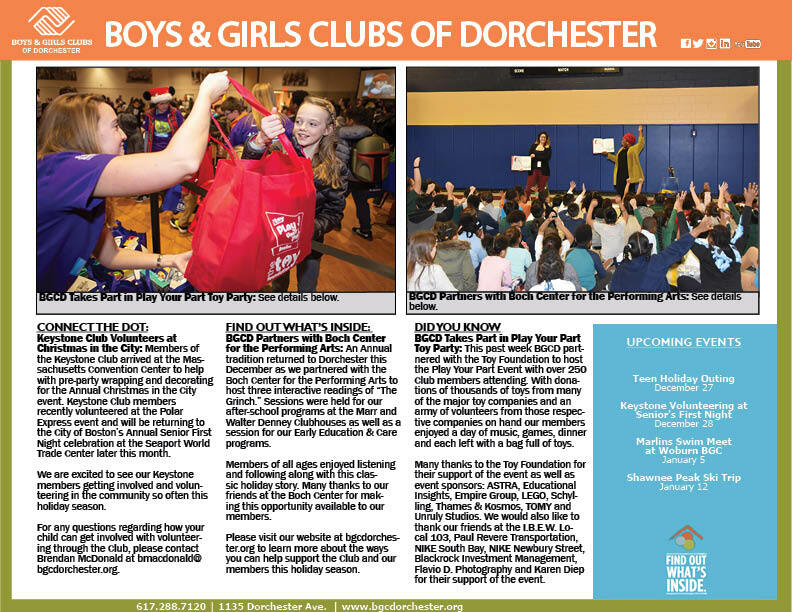 Please visit our website at bgcdorchester.org to learn more about the ways you can help support the Club and our members this holiday season. 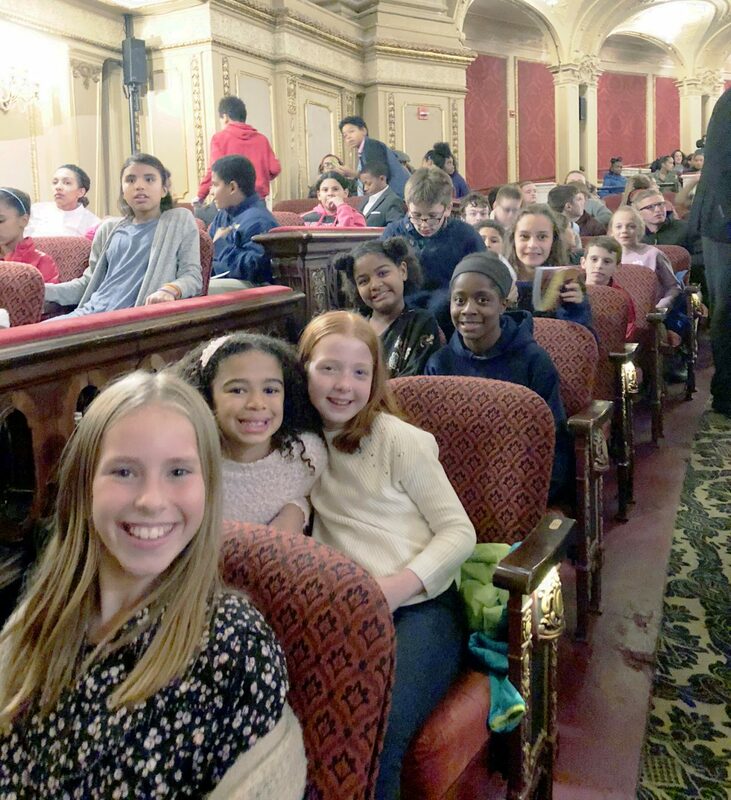 As a partner agency of the Rodman Ride for Kids, BGCD sent 150 members and chaperones to see the show. 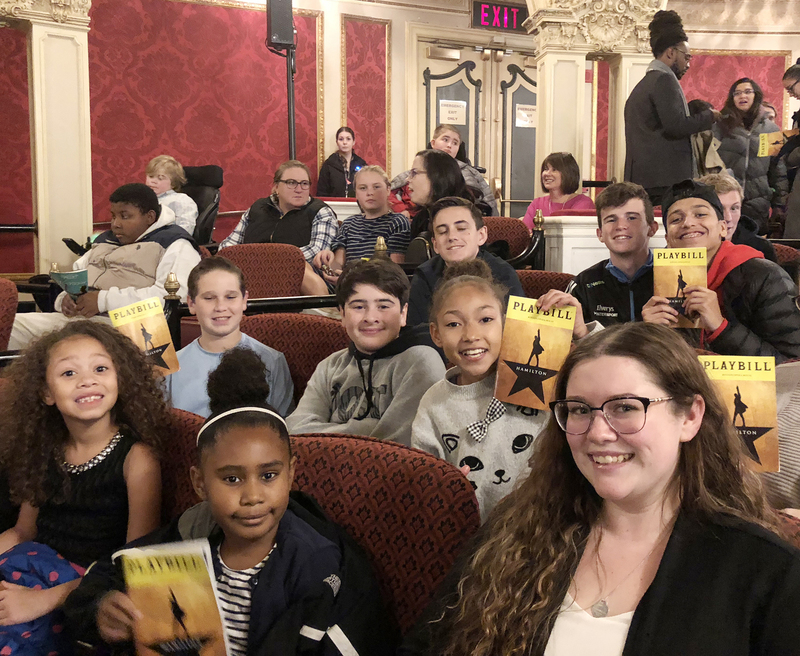 The musical is about the rise and fall of Founding Father Alexander Hamilton, who was the first U.S. Treasury Secretary. The performance offered a great deal of history to our members who were excited for this fun opportunity to learn. It was an amazing night for all. Thanks to Don for making this fantastic opportunity available to our members.